3.9% APR for 60 months for qualified buyers. Monthly payment is $18.37 for every $1000 you finance. Example down payment: 18%. Some customers will not qualify. Take delivery by 08-31-2016. Residency restrictions apply. See Dealer for details. Not available with special finance or lease offers. Take delivery by 08-31-2016. Residency restrictions apply. See dealer for details. 2.9% APR for 60 months for qualified buyers. Monthly payment is $17.92 for every $1000 you finance. Example down payment: 18%. Some customers will not qualify. Take delivery by 08-31-2016. Residency restrictions apply. See Dealer for details. $1,729 due at signing (after all offers). Tax, title, license, dealer fees and optional equipment extra. $0 security deposit due at signing. Mileage charge of $0.25 /mile over 32,500 miles. Example based on survey. Each dealer sets own price. Your payments may vary. 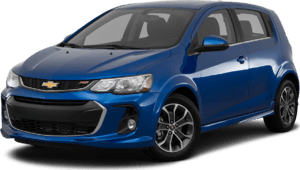 Payments are for a 2016 CHEVROLET Sonic 5-Door 1SD Preferred Equipment Group with an MSRP of $18,970. 39 monthly payments total $8,541. Option to purchase at lease end for an amount to be determined at lease signing. Lessor must approve lease. Take delivery by 08-31-2016. Lessee pays for maintenance, repair, excess wear and disposition fee of $395 or less at end of lease. Payments may be higher in some states. Not available with other offers. Residency restrictions apply. $2,479 due at signing (after all offers). $1,979 due at signing for Current Lessees of GM vehicles (after all offers). Tax, title, license, dealer fees and optional equipment extra. $0 security deposit due at signing. Mileage charge of $0.25/mile over 32,500 miles. Example based on national average selling vehicle price. Each dealer sets own price. Your payments may vary. 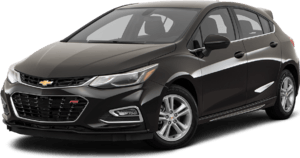 Payments are for a 2017 CHEVROLET Cruze LT Preferred Equipment Group with an MSRP of $22,325. 39 monthly payments total $7,761. Option to purchase at lease end for an amount to be determined at lease signing. Lessor must approve lease. Current Lessees of GM vehicles must show proof of ownership. Take delivery by 08-31-2016. Lessee pays for maintenance, repair, excess wear and disposition fee of $395 or less at end of lease. Payments may be higher in some states. Not available with other offers. Residency restrictions apply. $500 due at signing (after all offers). 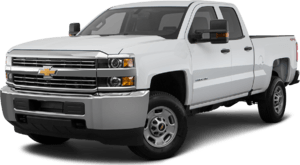 $0 down payment / $0 first month payment / $0 security deposit for Current Lessees of GM vehicles (after all offers). Example based on national average selling vehicle price. Each dealer sets own price. Your payments may vary. Payments are for a 2016 CHEVROLET Cruze Limited 1LT with an MSRP of $21,020. 39 monthly payments total $6,981. 38 monthly payments total $6,802. Option to purchase at lease end for an amount to be determined at lease signing. Lessor must approve lease. Current Lessees of GM vehicles must show proof of ownership. Take delivery by 08-31-2016. Lessee pays for maintenance, repair, excess wear and disposition fee of $395 or less at end of lease. Payments may be higher in some states. Not available with other offers. Residency restrictions apply. $2,499 due at signing (after all offers). $1,999 due at signing for Current Lessees of GM vehicles (after all offers). Example based on national average selling vehicle price. Each dealer sets own price. Your payments may vary. Payments are for a 2016 CHEVROLET Cruze LT Preferred Equipment Group with an MSRP of $21,995. 39 monthly payments total $6,591. Option to purchase at lease end for an amount to be determined at lease signing. Lessor must approve lease. Current Lessees of GM vehicles must show proof of ownership. Take delivery by 08-31-2016. Lessee pays for maintenance, repair, excess wear and disposition fee of $395 or less at end of lease. Payments may be higher in some states. Not available with other offers. Residency restrictions apply. 0% APR for 60 months for qualified buyers. Monthly payment is $16.67 for every $1000 you finance. Example down payment: 18%. Some customers will not qualify. Take delivery by 08-31-2016. Residency restrictions apply. See Dealer for details. 1.9% APR for 48 months for qualified buyers. Monthly payment is $21.65 for every $1000 you finance. Example down payment: 18%. Some customers will not qualify. Take delivery by 08-31-2016. Residency restrictions apply. See Dealer for details. Example based on national average selling vehicle price. Each dealer sets own price. Your payments may vary. Payments are for a 2016 CHEVROLET Malibu Limited Preferred equipment group with an MSRP of $24,660. 39 monthly payments total $7,761. 38 monthly payments total $7,562. Option to purchase at lease end for an amount to be determined at lease signing. Lessor must approve lease. Current Lessees of GM vehicles must show proof of ownership. Take delivery by 08-31-2016. Lessee pays for maintenance, repair, excess wear and disposition fee of $395 or less at end of lease. Payments may be higher in some states. Not available with other offers. Residency restrictions apply. $2,829 due at signing (after all offers). 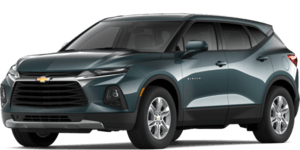 $2,329 due at signing for Current Lessees of GM vehicles (after all offers). Example based on national average selling vehicle price. Each dealer sets own price. Your payments may vary. Payments are for a 2016 CHEVROLET Malibu 1LT with an MSRP of $25,895. 39 monthly payments total $7,761. Option to purchase at lease end for an amount to be determined at lease signing. Lessor must approve lease. Current Lessees of GM vehicles must show proof of ownership. Take delivery by 08-31-2016. Lessee pays for maintenance, repair, excess wear and disposition fee of $395 or less at end of lease. Payments may be higher in some states. Not available with other offers. Residency restrictions apply. $3,599 due at signing (after all offers). 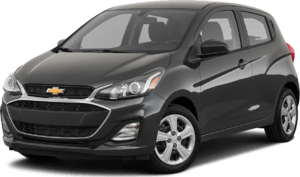 $3,099 due at signing for Current Lessees of GM vehicles (after all offers). Example based on national average selling vehicle price. Each dealer sets own price. Your payments may vary. 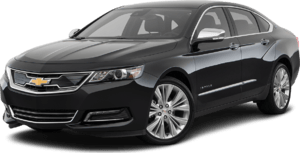 Payments are for a 2016 CHEVROLET Impala LT Preferred Equipment Group with an MSRP of $30,285. 39 monthly payments total $10,491. Option to purchase at lease end for an amount to be determined at lease signing. Lessor must approve lease. Current Lessees of GM vehicles must show proof of ownership. Take delivery by 08-31-2016. Lessee pays for maintenance, repair, excess wear and disposition fee of $395 or less at end of lease. Payments may be higher in some states. Not available with other offers. Residency restrictions apply. $3,759 due at signing (after all offers). 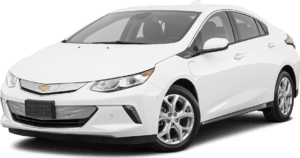 $3,259 due at signing for Current Lessees of GM vehicles (after all offers). Example based on national average selling vehicle price. Each dealer sets own price. Your payments may vary. Payments are for a 2017 CHEVROLET Camaro Coupe 1LT Preferred Equipment Group with an MSRP of $27,300. 39 monthly payments total $11,271. Option to purchase at lease end for an amount to be determined at lease signing. Lessor must approve lease. Current Lessees of GM vehicles must show proof of ownership. Take delivery by 08-31-2016. Lessee pays for maintenance, repair, excess wear and disposition fee of $395 or less at end of lease. Payments may be higher in some states. Not available with other offers. Residency restrictions apply. $3,559 due at signing (after all offers). $3,059 due at signing for Current Lessees of GM vehicles (after all offers). Example based on national average selling vehicle price. Each dealer sets own price. Your payments may vary. Payments are for a 2016 CHEVROLET Camaro 1LT Preferred Equipment Group with an MSRP of $26,695. 39 monthly payments total $10,101. Option to purchase at lease end for an amount to be determined at lease signing. Lessor must approve lease. Current Lessees of GM vehicles must show proof of ownership. Take delivery by 08-31-2016. Lessee pays for maintenance, repair, excess wear and disposition fee of $395 or less at end of lease. Payments may be higher in some states. Not available with other offers. Residency restrictions apply. 4.9% APR for 60 months for qualified buyers. Monthly payment is $18.83 for every $1000 you finance. Example down payment: 18%. Some customers will not qualify. Take delivery by 08-31-2016. Residency restrictions apply. See Dealer for details. $1,619 due at signing (after all offers). $1,119 due at signing for Current Lessees of GM vehicles (after all offers). Example based on national average selling vehicle price. Each dealer sets own price. Your payments may vary. 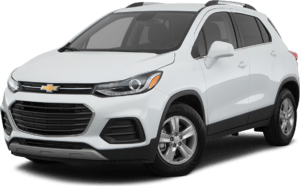 Payments are for a 2016 CHEVROLET Trax 1LT Preferred Equipment Group with an MSRP of $23,540. 39 monthly payments total $7,761. Option to purchase at lease end for an amount to be determined at lease signing. Lessor must approve lease. Current Lessees of GM vehicles must show proof of ownership. Take delivery by 08-31-2016. Lessee pays for maintenance, repair, excess wear and disposition fee of $395 or less at end of lease. Payments may be higher in some states. Not available with other offers. Residency restrictions apply. $3,079 due at signing (after all offers). $2,579 due at signing for Current Lessees of GM vehicles (after all offers). Example based on national average selling vehicle price. Each dealer sets own price. Your payments may vary. 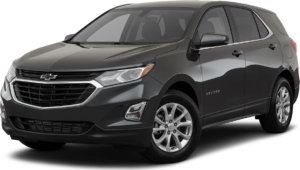 Payments are for a 2017 CHEVROLET Equinox FWD LS Preferred Equipment Group with an MSRP of $26,405. 39 monthly payments total $8,541. Option to purchase at lease end for an amount to be determined at lease signing. Lessor must approve lease. Current Lessees of GM vehicles must show proof of ownership. Take delivery by 08-31-2016. Lessee pays for maintenance, repair, excess wear and disposition fee of $395 or less at end of lease. Payments may be higher in some states. Not available with other offers. Residency restrictions apply. $3,279 due at signing (after all offers). $2,779 due at signing for Current Lessees of GM vehicles (after all offers). Example based on national average selling vehicle price. Each dealer sets own price. Your payments may vary. Payments are for a 2016 CHEVROLET Equinox LT Preferred Equipment Group with an MSRP of $27,345. 24 monthly payments total $4,776. Option to purchase at lease end for an amount to be determined at lease signing. Lessor must approve lease. Current Lessees of GM vehicles must show proof of ownership. Take delivery by 08-31-2016. Lessee pays for maintenance, repair, excess wear and disposition fee of $395 or less at end of lease. Payments may be higher in some states. Not available with other offers. Residency restrictions apply. $2,939 due at signing (after all offers). 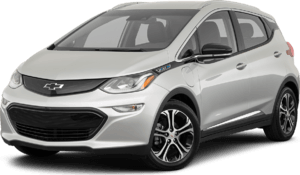 $2,439 due at signing for Current Lessees of GM vehicles (after all offers). Example based on national average selling vehicle price. Each dealer sets own price. Your payments may vary. 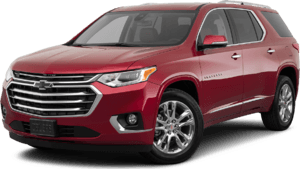 Payments are for a 2017 CHEVROLET Traverse FWD LT Preferred Equipment Group with an MSRP of $34,995. 39 monthly payments total $12,831. Option to purchase at lease end for an amount to be determined at lease signing. Lessor must approve lease. Current Lessees of GM vehicles must show proof of ownership. Take delivery by 08-31-2016. Lessee pays for maintenance, repair, excess wear and disposition fee of $395 or less at end of lease. Payments may be higher in some states. Not available with other offers. Residency restrictions apply. $4,389 due at signing (after all offers). $3,889 due at signing for Current Lessees of GM vehicles (after all offers). Example based on national average selling vehicle price. Each dealer sets own price. Your payments may vary. Payments are for a 2016 CHEVROLET Traverse FWD 1LT Preferred Equipment Group with an MSRP of $34,900. 39 monthly payments total $10,491. Option to purchase at lease end for an amount to be determined at lease signing. Lessor must approve lease. Current Lessees of GM vehicles must show proof of ownership. Take delivery by 08-31-2016. Lessee pays for maintenance, repair, excess wear and disposition fee of $395 or less at end of lease. Payments may be higher in some states. Not available with other offers. Residency restrictions apply. $2,179 due at signing (after all offers). $1,679 due at signing for Current Lessees of GM vehicles (after all offers). Example based on national average selling vehicle price. Each dealer sets own price. Your payments may vary. 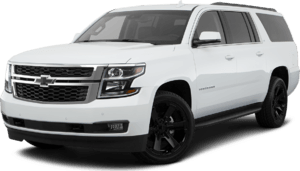 Payments are for a 2016 CHEVROLET Tahoe LT Preferred Equipment Group with an MSRP of $56,225. 39 monthly payments total $23,361. Option to purchase at lease end for an amount to be determined at lease signing. Lessor must approve lease. Current Lessees of GM vehicles must show proof of ownership. Take delivery by 08-31-2016. Lessee pays for maintenance, repair, excess wear and disposition fee of $395 or less at end of lease. Payments may be higher in some states. Not available with other offers. Residency restrictions apply. $3,259 due at signing (after all offers). $2,759 due at signing for Current Lessees of GM vehicles (after all offers). Example based on national average selling vehicle price. Each dealer sets own price. Your payments may vary. 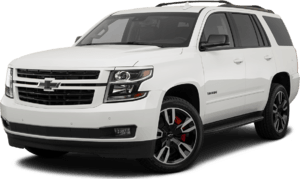 Payments are for a 2016 CHEVROLET Suburban LT Preferred Equipment Group with an MSRP of $58,925. 39 monthly payments total $24,531. Option to purchase at lease end for an amount to be determined at lease signing. Lessor must approve lease. Current Lessees of GM vehicles must show proof of ownership. Take delivery by 08-31-2016. Lessee pays for maintenance, repair, excess wear and disposition fee of $395 or less at end of lease. Payments may be higher in some states. Not available with other offers. Residency restrictions apply. $1,819 due at signing (after all offers). $1,319 due at signing for Current Lessees of GM vehicles (after all offers). Example based on national average selling vehicle price. Each dealer sets own price. Your payments may vary. 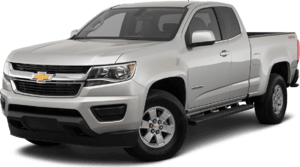 Payments are for a 2016 CHEVROLET Colorado Crew 2WD LT with an MSRP of $28,455. 39 monthly payments total $10,491. Option to purchase at lease end for an amount to be determined at lease signing. Lessor must approve lease. Current Lessees of GM vehicles must show proof of ownership. Take delivery by 08-31-2016. Lessee pays for maintenance, repair, excess wear and disposition fee of $395 or less at end of lease. Payments may be higher in some states. Not available with other offers. Residency restrictions apply. $4,209 due at signing (after all offers). $3,709 due at signing for Current Lessees of GM vehicles (after all offers). Example based on national average selling vehicle price. Each dealer sets own price. Your payments may vary. 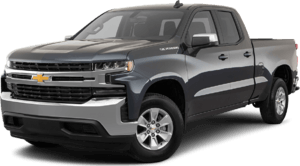 Payments are for a 2016 CHEVROLET Silverado 1500 1500 4WD Double Cab LT Preferred Equipment Group w/All Star Edition & 4.3L FlexFuel EcoTec3 V6 Engine with an MSRP of $41,485. 39 monthly payments total $12,441. Option to purchase at lease end for an amount to be determined at lease signing. Lessor must approve lease. Current Lessees of GM vehicles must show proof of ownership. Take delivery by 08-31-2016. Lessee pays for maintenance, repair, excess wear and disposition fee of $395 or less at end of lease. Payments may be higher in some states. Not available with other offers. Residency restrictions apply. 1.9% APR for 60 months for qualified buyers. Monthly payment is $17.48 for every $1000 you finance. Example down payment: 18%. Some customers will not qualify. Take delivery by 08-31-2016. Residency restrictions apply. See Dealer for details.